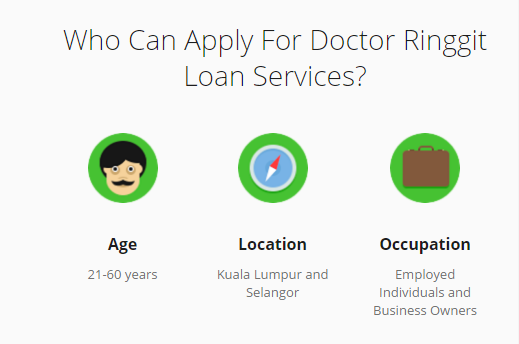 Doctor Ringgit is an online licensed money lender in Malaysia focusing on small loans, a simple stress free process and a quick 24-hour turn around. Loans are available from RM500-5000 (capped at RM2000 for first time borrowers) with a maximum of 18% (around the same as most credit cards charge annual interest rate). 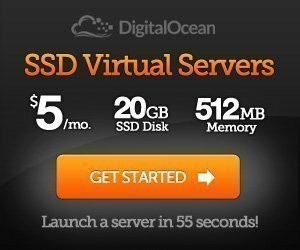 Sometimes you just need that little extra cash, you need it fast and you can pay it back once you get your salary. The initial term for the loans are at a maximum of 30 days, but if one cannot afford to pay it back when due, they can opt for an extension of the loan for another 30 days by paying the minimum payment. Much like credit cards, if by only paying the minimum amount required, one can finish paying off the loan by the 12th month. The application is super straight forwards. 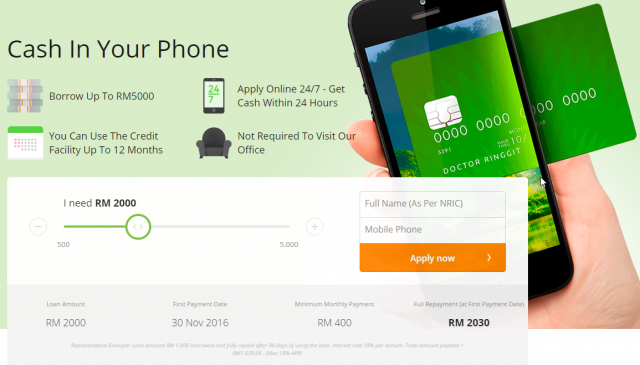 You can find out more here: http://www.doctorringgit.info and get some quick cash if you need it!